This milestone volume describes and interprets excavations at one of the greatest late prehistoric sites in the southeastern United States. 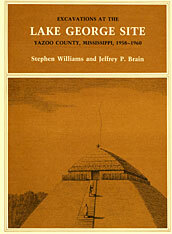 Lake George reached its zenith between the thirteenth and fifteenth centuries A.D., during the florescence of the Mississippian culture. This is a detailed analysis of the site and its relationship to the corpus of Southeastern archaeology.